Satsuki Yumizuka, Sion Eltnam Altasia and Leez are outcasts of society, living in the alley, hidden from society. Satsuki and Sion are both vampires and together with Leez, they have been living aimlessly after the events of Tatari. 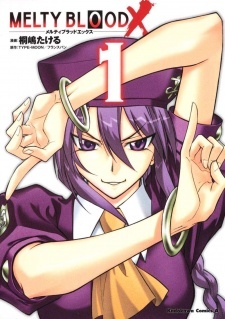 Sion decides to use her alchemy powers to construct decent living quarters for them, but something goes horribly wrong and she ends up making a 100 meter pyramid in the middle of the city. Thinking there might be foul play, the trio investigate the pyramid and get things under control. Based on the Tsukihime and Melty Blood games, you will be introduced to other familiar characters like Kohaku and Akiha.